It's time for a new agent to step up. Time for a new weapon in the war against organised crime. It's time for James Bond to earn his licence to kill. This is the story of the birth of a legend in the brutal underworld of the French Riviera. Nowadays one does not read James Bond's stories for the thrill of the plot. It is rather an exercise of immersion in what used to be adventure and mystery in the 60s . 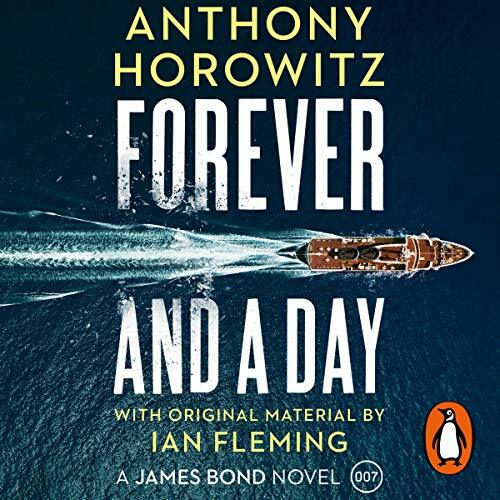 Horowitz does an excellent job to keep up with Ian Fleming's standards : sharp writing style, interesting and engaging (no matter if not always realistic) characters and a pleasant old fashion atmosfere full of charm and wit. The plot moves fast and Matthew Goode is as good as it gets. Very, very pleasant reading !!! I liked it a lot. Not too action heavy but still not boring. An amateur Bond with hints here and there where he got his habits from... not my favorite narrator tho.